Got one of these myself, it's pretty cool because even the mightiest Winamp's shoutcast and other online radio's quality fall short in front of Aluratek AIRJ01F USB Internet Radio's consistency. It allows you to access more than 13,000 radio stations in over 300 countries around the world with no monthly fees. 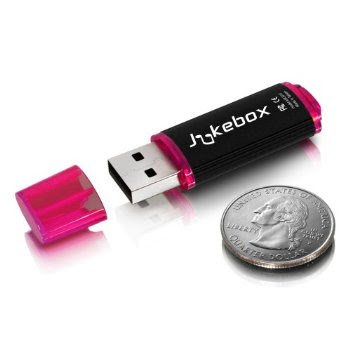 Simply insert the USB Internet Radio Jukebox into your computer's USB port and you have a world of entertainment at your fingertips via Aluratek's internet media player. You can search for music geographically by continent/country/state or by the more than 50 different available genres including a wealth of news and sports radio stations broadcast throughout the world. Once you find a favorite station whether it is from your local country or while visiting other countries around the world, simply add it to your favorites folder. You can also search for the top ten radio stations in each country or by each genre and cast your own vote for each channel. No software installation is required making this a truly plug-n-play experience. Let the fun begin!